If you are interested in reading more about our work but already have a stack of ‘must-read’ books on your desk, we’ve put together this research synopsis to give you an overview of our project and to whet your appetite for the real thing. Click through to read via Issuu. Enjoy! 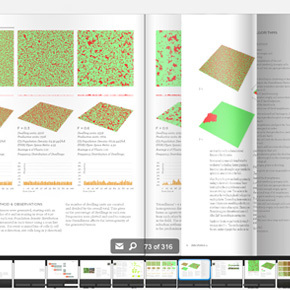 We’ve posted a digital edition of the book – have a look above (or on Issuu.) We are working on making a print edition available (and affordable) for those of you that have asked! 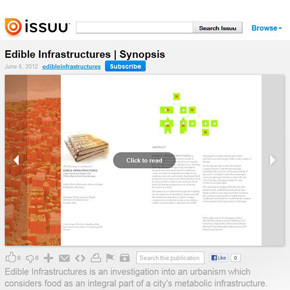 Feel free to email us at info [at] edibleinfrastructures [dot] net – we welcome your feedback. Thanks. © 2010 Edible Infrastructures. All Rights Reserved.